Well it was raining when I woke up this morning at 6am. Slowly packed my stuff away, had a shower and went for breakfast. I was resigned to the fact that I would be catching the train back to Sydney. When I finished breakfast, the rain had stopped. So I decided to ride home. If it got too heavy I could always jump on a train, as the train line followed my route home. 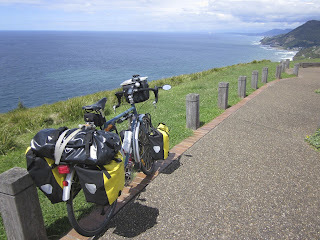 Well the ride through Wollongong was mostly following a shared cycle path, this continued north of Wollongong to Thirroul. Afterwards I joined the road where it goes over the sea cliff bridge, which was built a few years ago due to a problem with erosion of the old road. This bridge is now on the tourist map. watched the hand-gliders throw themselves off the cliff. 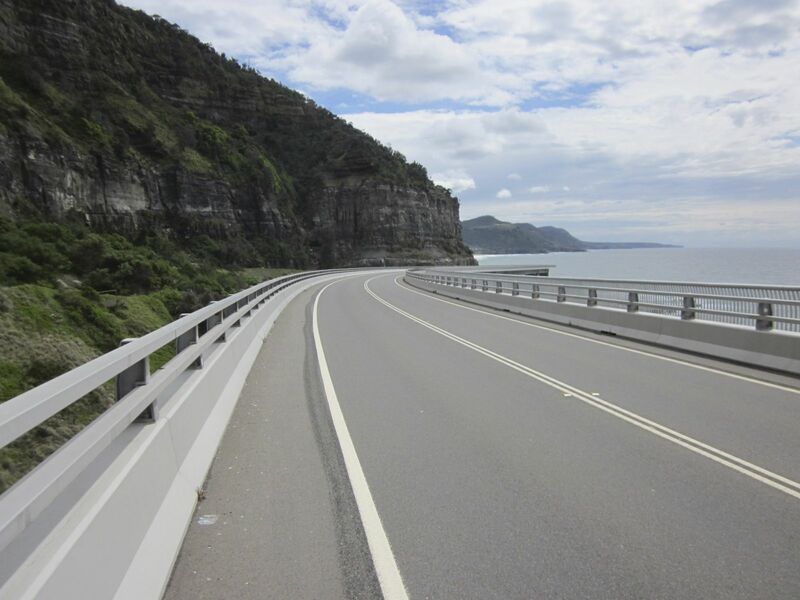 Afterwards I began my ride through Royal National Park. This park is just south of Sydney and I come here a lot on my Saturday morning rides. It is a really scenic park with some nice climbs as well. 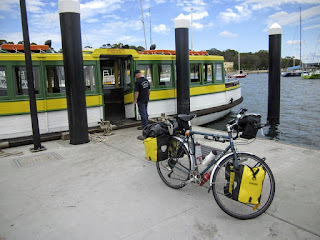 I carried on riding until I got to Bundeena, where I would catch the ferry to Cronulla. I got here at 1pm and the ferry didn't leave till 2pm, so that gave me time for some lunch. 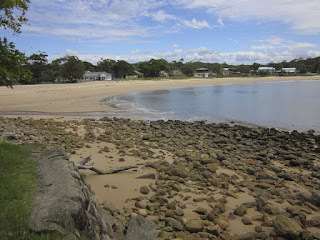 Bundeena is a very sleepy town during the weekdays, but on the weekends it can get busy with day trippers from Sydney. The ferry trip over to Cronulla is very scenic, and is a far better way to approach Sydney than the main roads on a Friday afternoon. 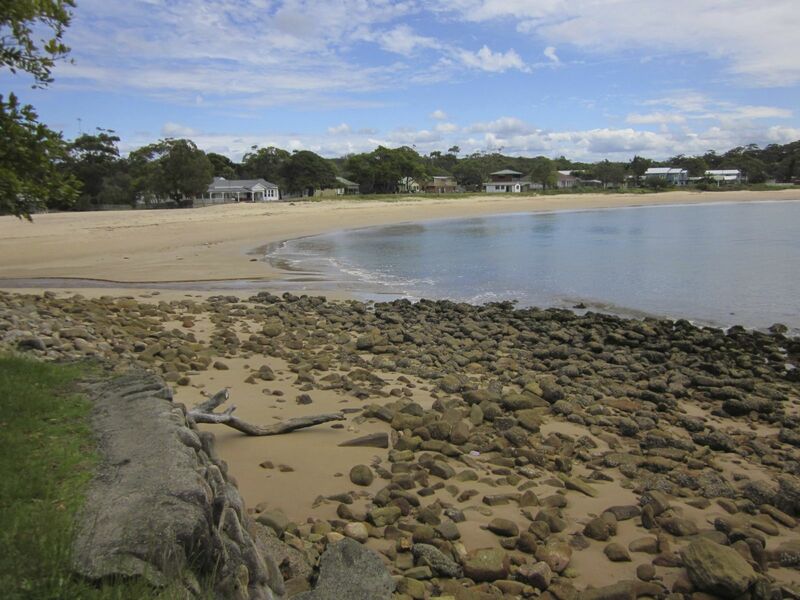 Cronulla is one of Sydney's many beachside towns. From here you can pick up another shared cycle path which takes you right to Sydney airport. From the airport I followed the back streets home. 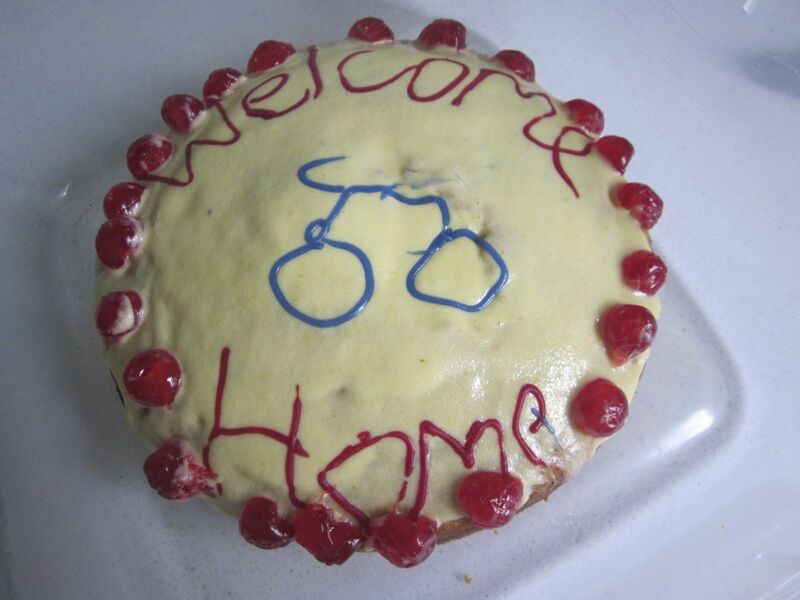 When I got home I found my wifey, Lynette, had baked me a cake as a well done for making it back in one piece. I'm already on my third piece. Tonight we're going out for dinner to celebrate. Over the next couple of days I'm going to relax and update this journal before I'm back at work on Monday.